Sabersim - Better lineups, faster. The pros may have more time and a bigger bankroll than you, but that doesn’t mean you can’t compete. You just need the right tools. With SaberSim, you don’t need to be a programmer or stats geek to get the best data. We do the number crunching for you and make it easy to use that data to build the best lineups, fast. If you can’t spend all day on DFS just to get an edge, you need SaberSim. "I play DFS for the competition and the money, but with a full-time job it used to be hard to play as much as I wanted. Since finding SaberSim, I've cut hours out of my process. It obviously still takes work, but nothing like before and my profits are higher than ever. SaberSim is a gamechanger for those of us that can't spend all day on DFS." 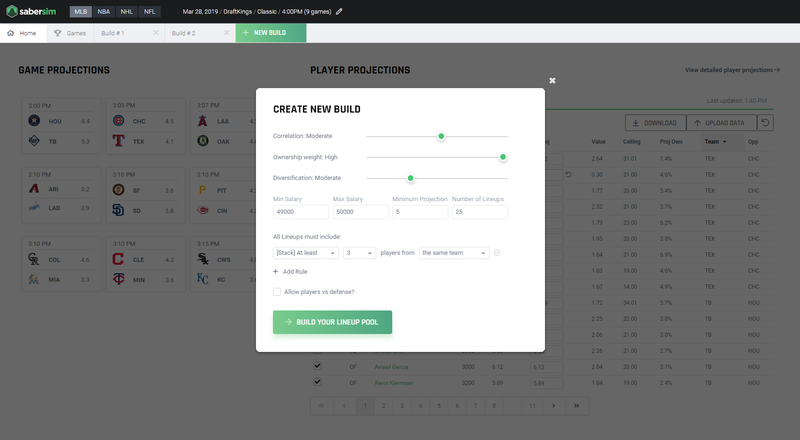 Stop spending hours poring over spreadsheets or fighting with clunky, confusing software just to build your lineups. If you want to tinker, you can tinker, but we do the heavy lifting behind the scenes so you don’t have to worry about ownership, correlations, or diversification. We build our projections using a proprietary machine learning algorithm that simulates every game 1000s of times. 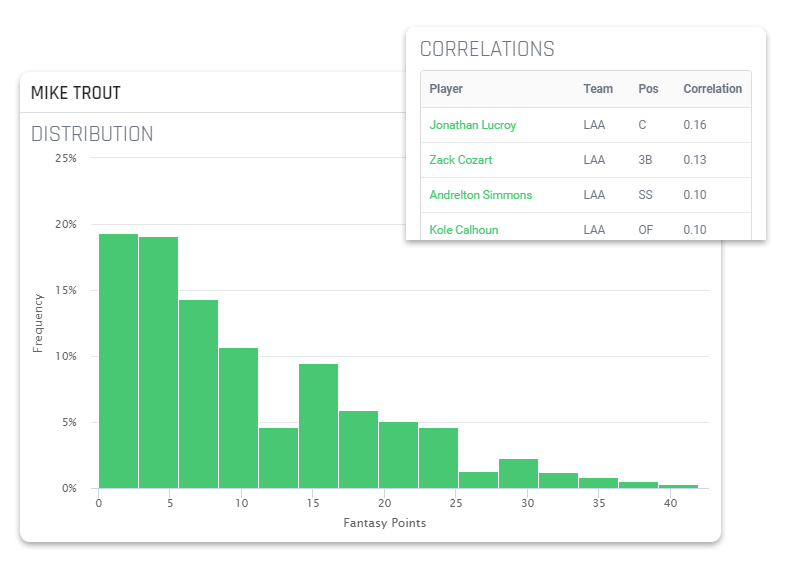 This gives us industry-leading accuracy while showing you all of a player’s possible outcomes in a game and how their performance impacts everybody else. 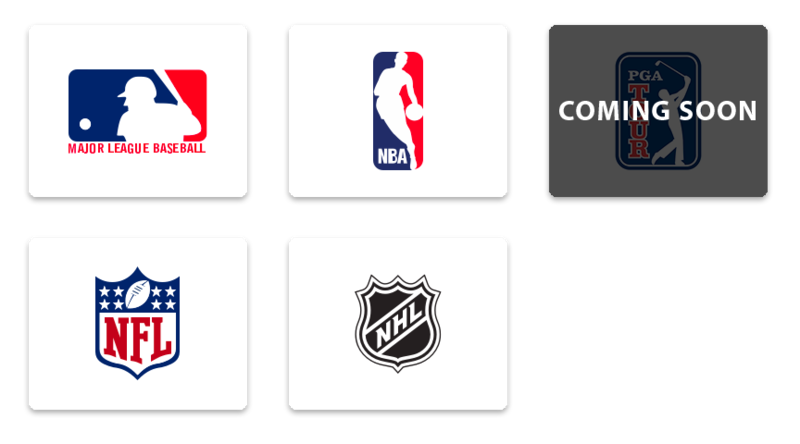 We don’t nickel and dime you by charging for each sport or making you pay extra for a lineup optimizer. When you sign up for SaberSim, you get access to all of our data and tools for every sport we offer. 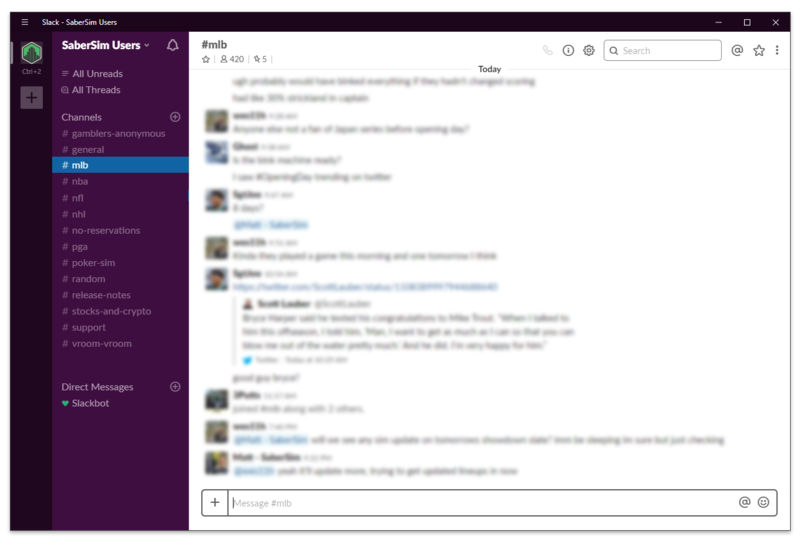 If you don’t know many people with your passion for DFS or you’re just always looking for more people to bounce ideas off of, our private Slack group is made for you. Inside, there’s always somebody to give you feedback or just listen to you vent when your $10k starter gets scratched after lock.